Coffee giant Starbucks ( SBUX ) will upgrade its popular rewards program next month allowing customers more choices to redeem "stars" (their version of points) for beverages and food and for members to access those perks sooner. At present, Starbucks Rewards Loyalty Program members earn two stars for every $1 spent. 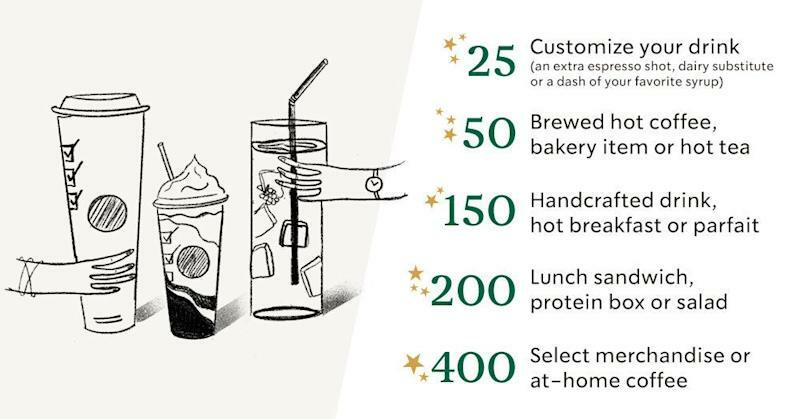 According to Starbucks, it takes about 4 to 6 weeks for those at the welcome level to accumulate 300 stars to reach "Gold" status. Those Gold status members who collect 125 stars can cash them in for food and drink items. Gold members also get special double-star days, meaning they can accumulate four stars for every $1 spent. Beginning April 16, all rewards members can start using their stars much sooner. This change effectively gives new members the option to use stars in as little to 2 to 3 visits. 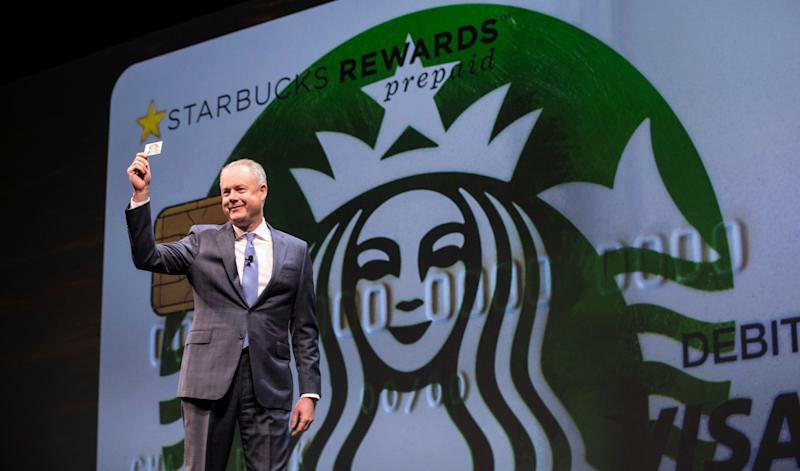 In the last two years, membership for Starbucks rewards has grown 25%. Last year, the rewards program surpassed 16 million active members with 1 million new members joining in the first fiscal quarter alone, a 14% increase. The program has been a critical driver for the coffee company's closely-watched comparable store sales growth, accounting for 40% of tender in U.S. stores in that period. Under the upcoming changes, for 25 stars, rewards members can get an extra espresso shot, dairy substitute or additional flavor. With 50 stars, members can get a brewed hot coffee, tea or certain bakery items. It takes 150 stars to redeem for a handcrafted drink, hot breakfast item, or yogurt parfait. Lunch sandwiches, protein boxes, or salads are available for 200 stars. And for 400 stars, some merchandise, as well as packaged coffee, is available. Members can also get free brewed coffee and hot tea refills as well as a birthday treat among other perks. Starbucks Rewards Loyalty Program will start letting members redeem "stars" sooner for beverage and food items. Starbucks will host its annual meeting of shareholders on Wednesday, March 20. CEO Kevin Johnson and COO Roz Brewer will be interviewed live on Yahoo Finance. Schultz: China will one day have twice as many Starbucks as the U.S.